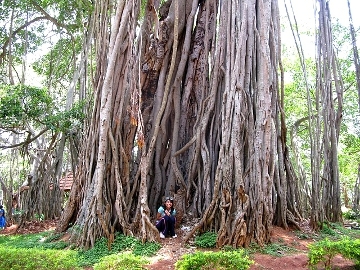 YD Bar-Ness shares the results of a long-term expedition to discover India‘s most notable trees. INDIA IS ONE OF the world’s foremost places for treesearching. For one thing, it’s a biogeographical mashup. Several significant groupings of tree species meet here: Northern Hemisphere standards like pines and oaks, coming into India via the Himalaya; African and Arabian dry desert trees; Southeast Asian rainforest trees; and locally evolved Indian trees. Additionally, there’s nowhere else in the world with so many temple trees, popular shade trees, historical marker trees, and trees used as business locations. The Hindu and Sikh religions, especially, recognize many famous trees. Trees are used as landmarks and reminders of events, and are often planted by dignitaries to mark special occasions. Visiting these trees as a tourist can help people appreciate them as a tangible, monetary resource. Of course, these material values must be held in parallel with the more intrinsic values of respect and biological interest. But ecotourism has great potential. Through these trees, we can both learn and teach about the world’s natural treasures. The trees below were encountered during more than two years of travel throughout India on a vriksh yatri — a tree pilgrimage. I keep hoping that one of them is the mythical Kalpavriksh, the magic tree from the ancient Sanksritic text, which supposedly represents the answer to all of humanity’s problems. For more on my treesearch, check out my website, Tree Octopus. I encourage you to seek out these ambassadors, and to keep your eyes open for other landmark trees throughout India. I’ve refrained from sharing exact locations, but you should be able to find each of the following with some active inquiry. Happy searching! The Banyan is a fig tree with the wondrous ability to drop aerial roots from its branches. When these reach the ground, they sprout into solid wooden trunks. Over time, these trees can spread to astonishing sizes, forming an interconnected network of trunks, all branches of the original tree. The world’s largest banyans are found throughout India. The Doda All Da Mara: Outside of Bangalore on the Mysore road is one of the largest banyans, complete with temple, snack shops, pathways, fencing, and dustbins. The Great Banyan: The British established the Howrah Botanical Gardens in Calcutta. It is now home to what is considered by most to be the world’s broadest tree. Kabir Vad: Kabir was a mystic poet sage of India. The Sikh holy book contains extensive passages of his writings. You can find the tree along the lower reaches of the Narmada River in Gujarat. Those from Europe or North America will find these oaks and pine trees familiar. The Himalaya offer a cold, wet refuge for them on the otherwise hot and dry subcontinent. Jageshwar Monarchs: A pair of spectacular giant cedar trees tower over a group of Shiva shrines in a cool valley near Almora in the Indian Himalaya. Woodside Wolf: On the slopes of Landour, in the British-era holiday hill station Mussoorie, one giant oak tree remains as a relic of once vast natural forests. Viceregal Oak: In the garden of the Viceregal Lodge of Shimla, a wonderful spreading oak tree stands. This tree would have been witness to many pivotal decisions made by the British rulers of India. The jungles of India harbor a significant portion of the world’s biodiversity. 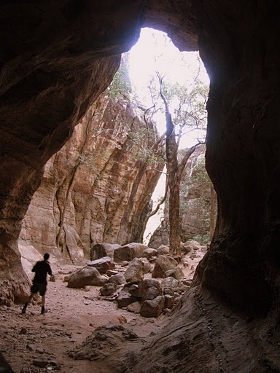 While most of them have been impacted by human activity, many impressive trees remain. Kannimara: Famous as the largest teak tree in the world, Kannimara can be found in Parambikulam Wildlife Sanctuary in the mountains of Kerala. Connolly’s Teak: Another giant teak, in a plantation of rainforest trees planted in the 1840s by one Mr. Connolly, near Nillambur in the Western Ghats. Reechgarh Monarch: Exploring the sandstone mountains of Panchmarhi, you’ll find this huge jamun tree in the Reechgarh grotto. 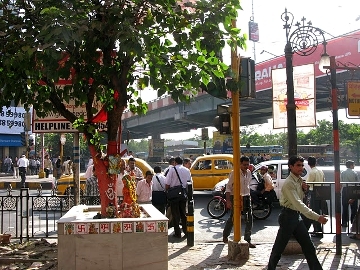 In the chaos of Indian cities, trees provide welcome solace. Some of them are true giants, graciously providing shade and green cover to the people going about their business beneath their branches. 4:30 Ficus: If you think of Delhi’s Connaught Place as a clock dial, you’ll find one remaining big peepal tree at 4:30, at the end of Barakhamba Road. Hanuman’s Mace: From the main ghat in Varanasi, this banyan tree is visible towering over the human crowds and the Ganga River. Park St. Pipal: Just at the start of Calcutta’s Park Street, there’s a small peepal tree acting as sacred shrine. Some strange and unique trees can be found in India, both as freaks of nature and as carefully crafted artwork. Kaleemullah’s Masterpiece: A mango farmer near Lucknow has grafted an astounding 312 varieties of mango onto a single trunk. Walking Mango: Just north of Mumbai in Sanjan, there’s a curious mango tree that has adopted a habit of creeping along the ground. Visitors from other countries, these trees bring a bit of an exotic continent to India. Not always recognized as the guests that they are, some of them have become common sights as they’ve naturalized throughout India. Elephant’s Baobab: In Golconda Fort in Hyderabad, a giant 500-year-old baobab reminds us of the Muslim king’s botanical tastes. Ooty Araucaria: If you go to the back slopes of the Botanical Gardens in Ooty, in the Western Ghats, you can find this Southern Hemisphere cold-weather pine grown to monstrous proportions in the tropical climate. Lodhi River Red Gum: Delhi’s lovely Lodi Gardens is home to a large spreading River Red Gum eucalyptus from the arid inland of Australia. Some trees are venerable elders, links to the past. Several hundred years ago, there were no cars, no phones, no computers, and no trains. Things are changing quickly in India, but these trees haven’t gone anywhere. Shankaracharya’s Mulberry: India’s oldest recorded planted tree, this mulberry in the Himalaya at Joshimath can be seen as one enters the Valley of Flowers and the Badrinath Shrine. Nallur Twisted Tamarind: Likely the world’s oldest tamarind tree, the Nallur Twisted tree lives in a sacred grove north of Bangalore. Delhi’s Khirnis: In the south of the city at Ladho Sarai, Delhi’s oldest trees are found in the pleasant picnic area near the Jain Mandir. 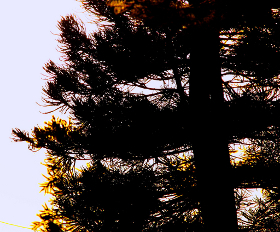 These trees are spiritual treasures, and they receive the respect and care that go along with such status. Kanchipuram Mango: One mango tree stands at the Ekambaram temple in Tamil Nadu as a replacement for the now-dead tree under which Shiva and Parvati were once wed.
Golden Temple Ber Trees: You can find three very special and revered jujube trees growing in the magnificent Golden Temple of the Sikhs. Bodhi Tree: This old peepal tree marks the site where Buddha attained enlightenment. It is a sapling taken from a cutting of the original tree. 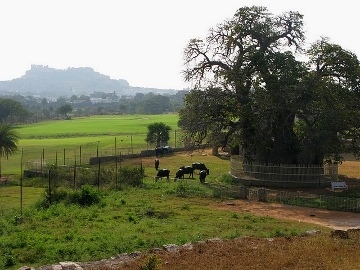 The cutting is alive and well in Sri Lanka, where it is the world’s oldest planted tree. 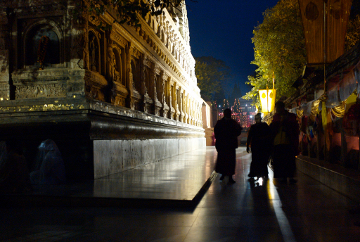 The Bodhi tree at Bodh Gaya, in the Indian state of Bihar, is the world’s most revered and visited tree. If you take up YD’s challenge to hunt these or other trees in India, Trips would love to hear about it. Americans can also start closer to home with Guide to the Redwood Groves: Where to Find the Tallest Trees on Earth. Mumbai tried enforcing a 4-day meat ban. Here’s why it didn’t go well.